A former Delaware, Lackawanna & Western Fairbanks-Morse Train Master (no. 1861?) 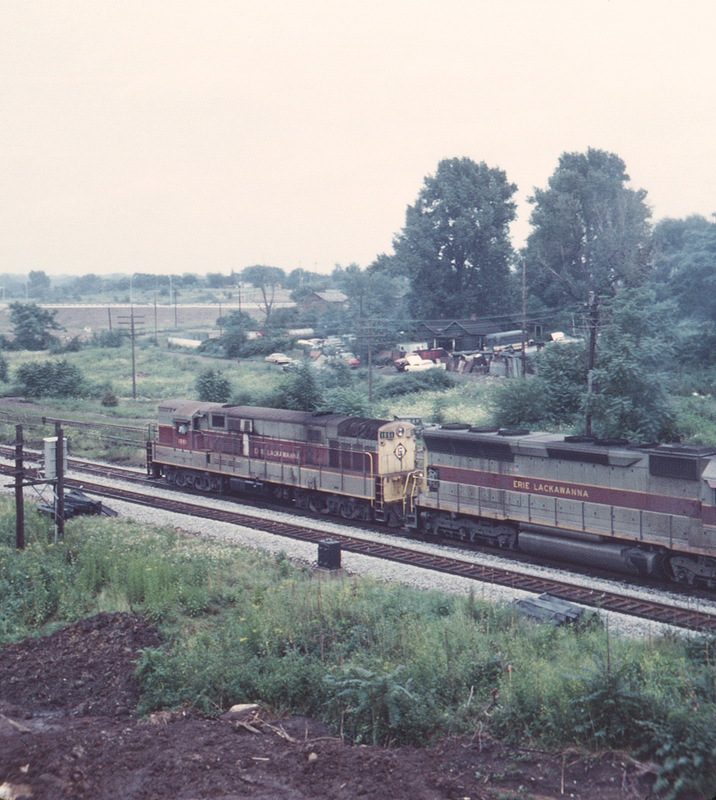 leads a freight north out of Youngstown, Ohio on former Erie trackage. Both 1861 and its fellow 1860 will be found on the retired line at Hornell, New York in another year. The rather weed-grown tracks behind the train are the New York Central's Ashtabula line, showing signs of deferred maintenance under Penn Central management. This is hardly surprising, as the PC has been bankrupt for over a month by this time and things will only get worse. This view is from the north side of the Oak Street bridge.